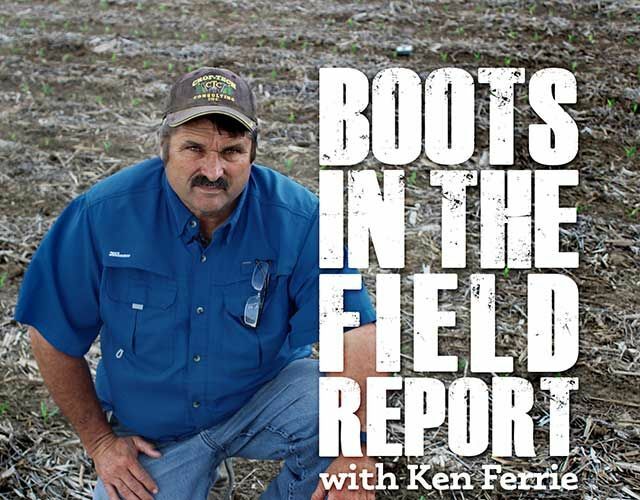 “There’s a lot of good-looking corn in northwest Ohio that’s just finishing up pollination,” notes Farm Journal Agronomist Ken Ferrie in this week’s edition of the Boots In The Field Report. Ferrie, of Crop-Tech Consulting details the kernel-count ranges he found in fields throughout parts of Ohio as well as tough corn growing conditions he found in Michigan. He also discusses fields he found that had damaged crops as a result of aggressive feeding by northern corn rootworm beetle and flea beetle.